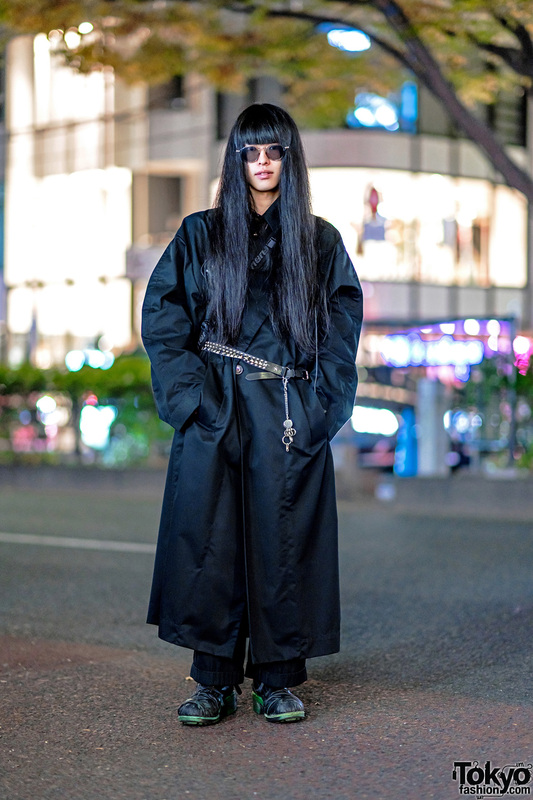 Harajuku guy wearing a maxi coat with glasses, long hair, wide pants, and green sole boots by 20471120. 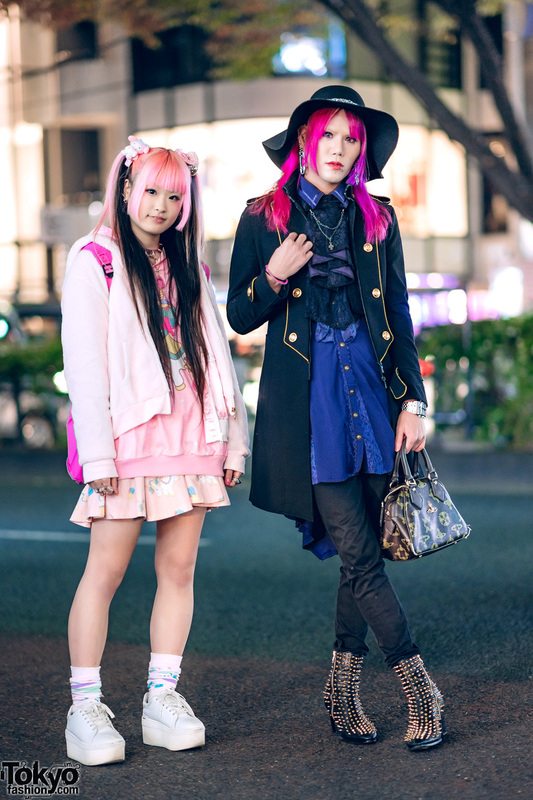 Harajuku girl sporting a modern chic streetwear style while out on the street. 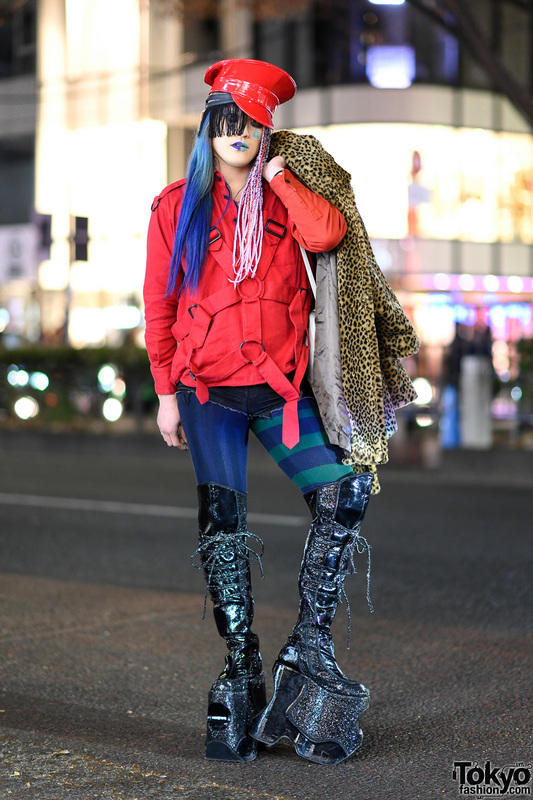 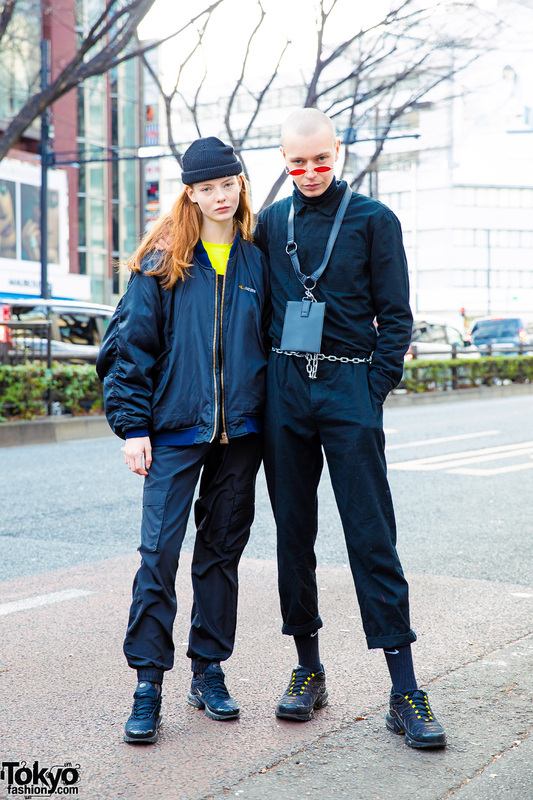 Japanese fashion buyer, DJ & model sporting an avant-garde streetwear style in Harajuku. 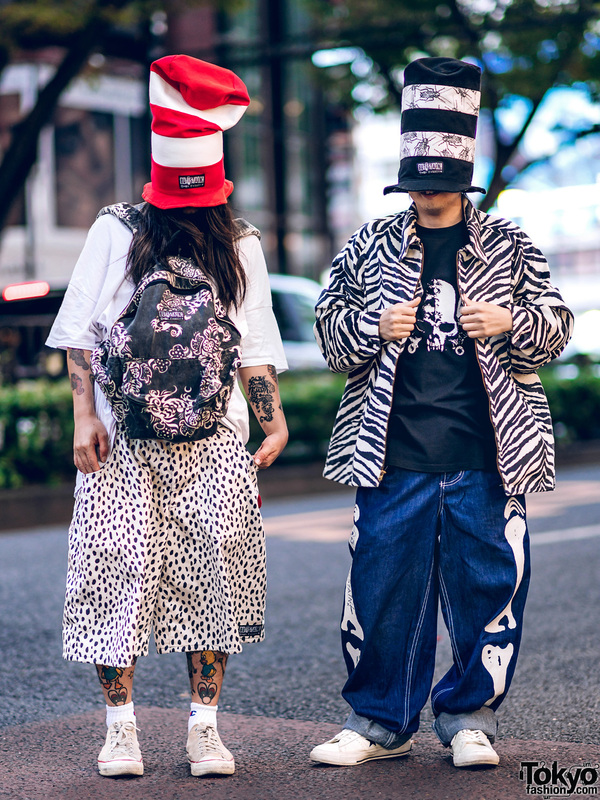 Buttstein guys in retro skate inspired mixed print street styles while out and about on the Harajuku street.